For the more than 300 million people around the world that suffer from the complex challenges of depression, smartphones and technology may hold promise. According to research published in World Psychiatry, a leading academic journal, smartphone apps may reduce the user’s depression symptoms with continued use. From a total of 18 randomized experiments, Australian scientists examined more than 3,400 men and women who self-reported living with different mental health conditions such as depression, anxiety, bipolar disorder and insomnia. The most successful apps were aimed at treating mild to moderate forms of the mental health condition, rather than severe forms, which have not been studied as thoroughly at this time. The first of its kind, World Psychiatry’s research study found that, overall, smartphone apps significantly reduced the user’s depressive symptoms and suggested that these new digital therapies can be useful for managing the condition, according to Science Daily. The study was led by author and NICM postdoctoral research Joseph Firth. According to Firth, these findings were particularly important because they present a new opportunity for providing accessible and affordable care for patients who might not otherwise have access to treatment. For those in rural or underserved areas, who have historically faced the greatest challenges when it comes to having access to quality mental healthcare, gaining low-cost access to highly effective care via mobile devices could be a major breakthrough. “The majority of people in developed countries own smartphones, including young people who are increasingly affected by depression,” Firth told Science Daily in a recent interview. “Combined with the rapid technological advances in this area, these devices may ultimately be capable of providing instantly accessible and highly effective treatments for depression, reducing the societal and economic burden of this condition worldwide. Oftentimes, people avoid seeking treatment for mental health conditions because there is a societal stigma attached to it. Moreover, the patient may not feel comfortable expressing their deepest fears, secrets and concerns to a psychiatrist they’ve never met before. With smartphone apps, people can monitor, understand and manage their own mental health without the involvement of a third party. “Using apps as part of an ‘integrated medicine’ approach for depression has been demonstrated to be particularly useful for improving mood and tackling symptoms in these patients,” Co-author and NICM Deputy Director Professor Jerome Sarris told Science Daily in a recent interview. Results suggest that depression related smartphone apps are best suited for those with mild to moderate depression. The benefits when it comes to major depression have not been studied in a significant way as of yet. Researchers compared apps that applied principles of mindfulness with those that focused on cognitive behavioral therapy and mood monitoring programs and found no significant difference in effectiveness between them. However, apps that were ‘self contained’, which means that they did not rely on other aspects such as clinician and computer feedback were found to be significantly more effective than non ‘self-contained’ apps. 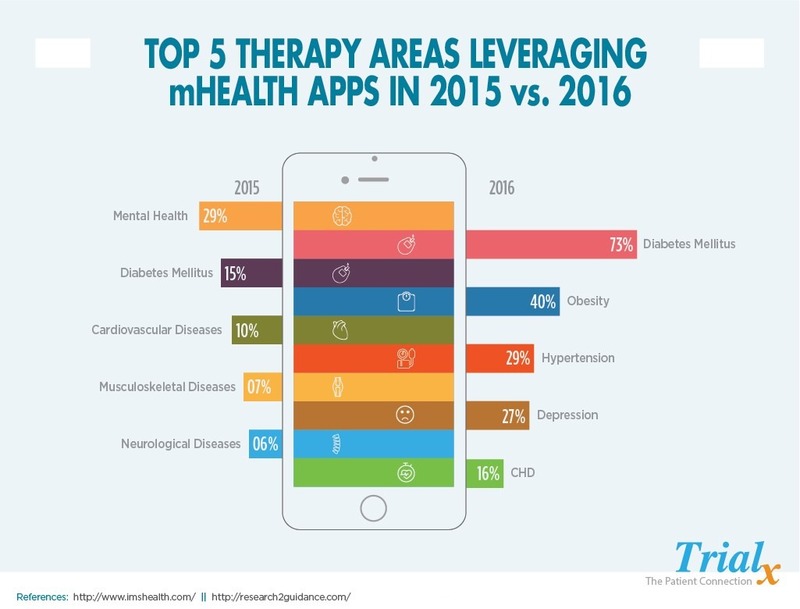 It should be noted that, while the early results are promising, the researchers are not claiming that using apps alone can outperform or substitute standard psychological therapy or reduce the need for antidepressant medications. This research indicates a promising step forward for the treatment of mental health conditions, according to Dr John Torous, co-author and co-director of the digital psychiatry program at Beth Israel Deaconess Medical Center and a clinical fellow in the department of psychiatry at Harvard Medical School. Prior to this research, it wasn’t truly known whether or not apps can have any success when it comes to treating depression symptoms, but this study provides much needed affirmation on the effectiveness of apps at treating depression along with an indication of what types of apps have the most potential for success. The next step, according to Jennifer Nicholas, a PhD Candidate at Black Dog Institute and co-author of the paper, is to determine which features of these apps produce beneficial effects. “Given the multitude of apps available–many of them unregulated–it’s critical that we now unlock which specific app attributes reap the greatest benefits, to help ensure that all apps available to people with depression are effective,” said Nicholas in an interview with Science Daily. If your organization is in need of a new psychiatry, behavioral health or mental health hire, contact the recruiters at Healthcare Recruiters International to learn more about how we can help you find the transformational mental health talent you need. Not sure what to pay your new hire? Click here to check out our recently published Healthcare Salary Guide.